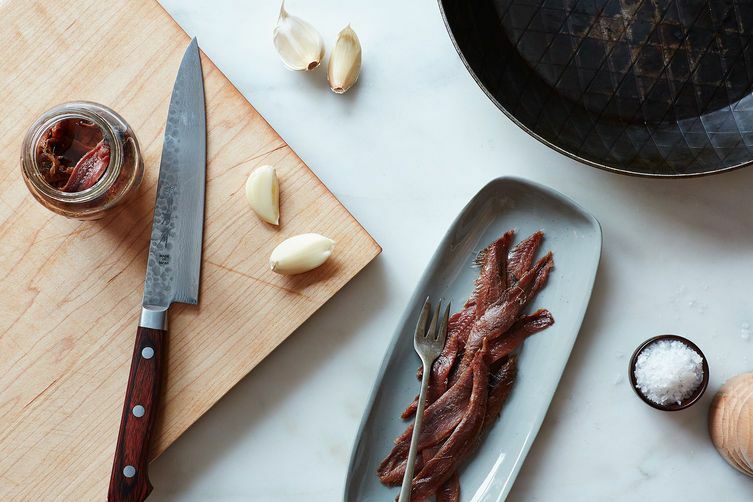 It's that time again -- help us pick the contest finalists for Your Best Recipe with Anchovies! Any Food52 member is welcome to help us test our Community Pick candidates, so go call dibs on the recipe you'd like to test that is in the list below! We'd love to see some new testers in the mix -- remember, we accept up to 3 testers per recipe. And, if the recipe is worthy of a Community Pick, we'll publish the best headnote, so make your notes count! Don't forget to email us your headnote (no more than 100 words) to [email protected] by next Wednesday, March 5th at 5pm (EST). When you’ve figured out which recipes are calling your name, in order to sign up, all you have to do is follow the link to that recipe’s page, and on the left-hand side, you’ll see a “Test This Recipe” button. Your job is easy: Just click the button, and you’ll receive a confirmation email that officially crowns you a Food52 community tester. If for some reason you decide you cannot test, simply press the button again, and your name will be removed from the list. Act fast -- this button will disappear on the Tuesday before your testing notes are due.